EXTENSIVE: The cryptoworm Wannacry was estimated to have affected more than 300,000 computers across 150 countries in 2017. Digitalization of poor countries is a good thing, but too little attention has been paid to the accompanying problems, according to NUPI Senior Research Fellow Niels Nagelhus Schia. Kilde: Schia, Niels N. (2017): ‘The cyber frontier and digital pitfalls in the Global South’. 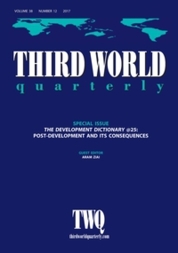 Published online in Third World Quarterly 11 Dec 2017. Third World countries like Botswana, Kenya, Mozambique, Myanmar, Rwanda and Tanzania have experienced rapid digitalization. This can bring various benefits, such as helping to lift many people out of poverty. When an entrepreneur or a farmer can receive money online and compare prices easily, running a small business becomes both easier and safer. Today, digitalization pervades most of the UN Sustainable Development Goals. The developmental goals – social, political and economic – professed by international organizations and donor countries are increasingly based on digital technology. However, while digitalization has been spreading extremely fast, the need for cybersecurity is growing at least as quickly. 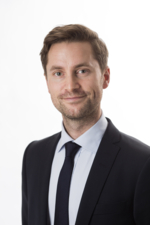 ‘Digital security has received disproportionately little attention’, says Senior Research Fellow Niels Nagelhus Schia (NUPI), head of NUPI's Cyber Security Centre. He is the author of ‘The cyber frontier and digital pitfalls in the Global South’, recently published in The Third World Quarterly. Drawing on, inter alia, fieldwork in Myanmar, Schia’s article surveys the most pressing digital pitfalls likely to be encountered in the Global South. ‘Technological developments are taking place at high speed, whereas the political processes for building resources, developing legislation and establishing standards on the cyber-field take time. This asymmetry creates a hollow digitalization –a digitalization that fails to consider the vulnerabilities that accompany new technology’, explains Schia. He points to cyberattacks like Wannacry – the data worm that ravaged key computer systems in over 150 countries last year. 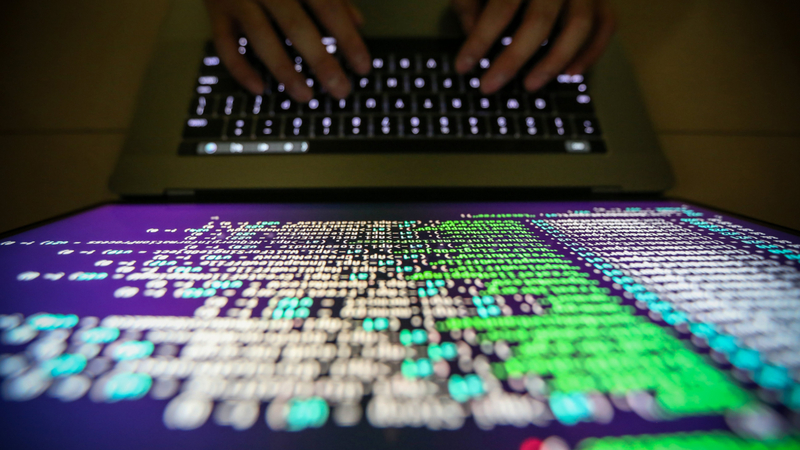 ‘Wannacry showed the importance of updated operating systems. Pirate copies and older versions of operating systems have become common in countries with poor economies. 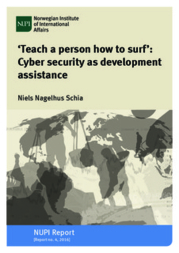 And that makes developing countries increasingly vulnerable to cyberattacks and cybercrime’, Schia points out. PODCAST: How to govern cyberspace? 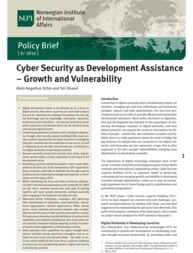 There are two main reasons why building cybersecurity in developing countries is becoming increasingly important, according to Schia. Firstly, access to cyberspace is crucial to social, economic and political growth and development. 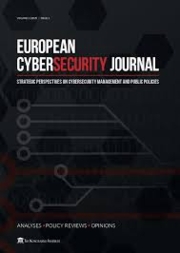 But if digital systems are insufficiently secured, this may result in cyberattacks that can destabilize governments, electoral systems, economic systems, media spheres and public debate. Secondly, inadequate legislation on cybercrime contributes to making countries of the Global South attractive hiding places for criminals. But who is to take charge and strengthen cyber capacities in vulnerable countries? ‘A global effort is needed, where we all help each other by sharing knowledge. 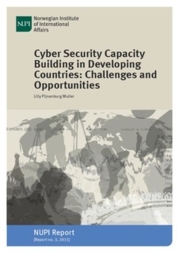 Norway, for example, can contribute by helping countries with emerging cyber strategies to develop suitable legislation, strengthen educational opportunities and establish standards for the purchase and usage of software’, Schia suggests. Want to know more about NUPI's cyber research? Check out our cyber page and NUPI's Cyber Security Centre.